WASHINGTON, the U.S. (BulgarianMilitary.com) – Cheap Chinese 5G technology isn’t all that cheap when you factor in the government time and resources needed to make it safe — or at least safer — to use, reports DefenseOne, quoting a new NATO Center of Excellence report. 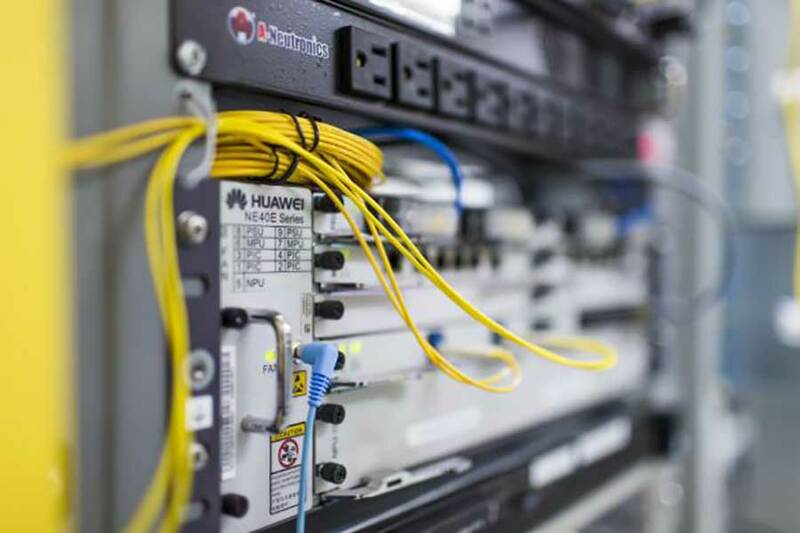 That’s the warning from a new report by the NATO’s Cooperative Cyber Defence Centre of Excellence, which notes the considerable risks of importing next-generation telecom equipment from Chinese hardware and software maker Huawei. Acknowledging that alliance governments are unlikely to issue the “blanket bans” sought by U.S. officials, the report recommends instead a lot more government supervision of what companies like Huawei are building. U.S. Defense Undersecretary Ellen Lord and Joint Chiefs Chairman Gen. Joe Dunford have highlighted the risk of Chinese-made 5G equipment, while Secretary of State Mike Pompeo has said that the United States would have a hard time “partnering” with countries that import it. “If that equipment is co-located where we have important American systems, it makes it more difficult for us to partner alongside them” Pompeo said in February. This could have a major effect on data security for governments and militaries. “Huawei would provide critical components in systems of strategic importance for society, including security services and the military, both due to the latter’s partial reliance on these systems and a mandate to protect them during crisis,” it says. Pompeo’s rhetoric aside, the United States itself is inching closer to accepting the inevitability of Chinese companies making parts for America’s future mobile networks. “We are going to have to figure out a way in a 5G world that we’re able to manage the risks in a diverse network that includes technology that we can’t trust,” Sue Gordon, Principal Deputy Director of National Intelligence, said at a recent conference. So how do you manage the risks? UK defense officials say they have careful and nuanced attitude. “We’re taking — rather than sort of a blanket approach to it — we’re taking a very sophisticated approach to it which entails understanding of the threats and the risks, understanding what the networks would entail,” Britain’s Vice Chief of Defence Staff, Gen. Gordon Messenger, told reporters in March. The NATO Center paper surmises that this kind of careful and consistent government attention, rather than a blanket ban, is the only way to address the risks posed by Huawei. “The head of NCSC recently recognized that this detailed, formal oversight, building on a decade of formally agreed mitigation strategy and detailed provision of information, means that the UK regime is arguably the toughest and most rigorous oversight regime in the world for Huawei, and that it is proving its worth,” it says. The paper also recommends that governments carefully track the use of Chinese products by federal agencies and sensitive industries, and to keep Huawei products away from anything that might have national security implications, such as critical infrastructure. While there is considerable agreement about the growing influence Chinese telecom and the risks that influence poses, there is less consensus about what to do about it. “That we are having this discussion points to our success, actually,” said Maciej Pisarski, who leads policy planning at the Polish Ministry of Foreign Affairs.